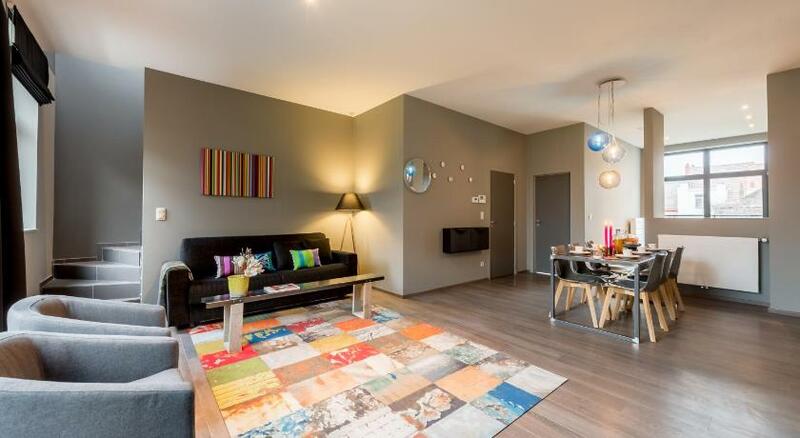 Featuring free WiFi, Smartflats Schuman offers accommodation in Brussels. European Parliament is 700 metres from the property. The accommodation is fitted with a seating area. There is also a kitchen, equipped with a dishwasher and oven. A microwave and toaster are also provided, as well as a coffee machine. Each unit features a private bathroom with a bath, free toiletries, and a hairdryer. Towels and bed linen are available. You can also have access to SmartWork, our coworking spaces with meeting rooms, located on Rue de la Loi, just a few minutes walk from your flat. Open from Monday to Friday, from 9am to 8 pm. Please ask in advance. Film Museum is 1.3 km from Smartflats Schuman, while Magritte Museum is 1.4 km away. The nearest airport is Brussels Airport, 9 km from the property. Please note that Smartflats has no reception on-site. In order to check in, guests need to bring the access codes they receive from the accommodation by e-mail 2 days before the date of arrival. Guests have access to the Smartflats Lounge at Rue Fossé aux Loups 11 - 1000 Brussels and also have access to SmartWork, a coworking spaces with meeting rooms (more info upon request). Cleaning costs are included in the price of the stay. However, please note that if the accommodation is left in an excessive state of dirtiness the property will charge an additional cleaning fee. There is no elevator at the property and upper floors are only accessible by stairs. The accommodation is not recommend for guests with reduced mobility. Please inform Smartflats Design - Schuman in advance of your expected arrival time. You can use the Special Requests box when booking, or contact the property directly with the contact details provided in your confirmation.